If you haven’t spent time in dive or cocktail bars in Chicago, odds are you have no idea what Jeppson’s Malört is. Jeppson’s Malort belongs to a category also referred to as Besk (besk brännvin, but in the US known best as Malört) , a Scandinavian spiced spirit, very much like aquavit but rather than being anise based, it’s based around wormwood. 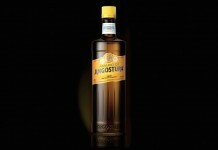 Just like Aquavit, there are traditional parameters to being called a besk including alcohol levels and what kind of ingredients are used. In Scandinavia any schnapps (aka liqueur) that uses an Anise or Caraway base is considered an Aquavit and any schnapps using a wormwood base is considered a besk. Malörts (like Jeppson’s Malört) are often based on family recipes (as it can be made by infusing botanicals in neutral spirits) and a lot of Malört/Besk in Sweden is still homemade. Jeppson’s Malort came over to America in the 1880s from Sweden by Carl Jeppson but didn’t became a formal product until the 1930s. Jeppson’s Malort, very much like Fernet Branca, existed for decades in relative obscurity before being discovered and embraced by the Chicago bartender community (fernet found its traction with San Francisco bartenders). Jeppson’s Malort has gotten a significant amount of notoriety in Chicago for being a challenge or bravado shot, and has inspired fan videos trying to capture its taste as well as a rash of Malort Face pictures and videos. Jeppson’s Malort (70 Proof / 35% ABV, $20) has solid honey and light citrus notes on the nose with clear bitter wormwood underneath. Jeppson’s Malort is golden brown in color, but it gets its color from FD & C Yellow No. 5 (one of the few ingredients listed on the bottle). At 35% alcohol, Jeppson’s Malort doesn’t have much of an edge to the nose, and the earthy bitterness from the wormwood is well balanced with the citrus and honey. The entry is surprisingly light with clear grapefruit peel notes. The honey from the nose is there but much softer than we expected. The mouthfeel is surprisingly light for a liqueur. From humble beginnings, the spirit does take you on quite a journey as you plunge through the grapefruit peel into the pith and deep into the earthy bitterness of the wormwood. The midpalate is all deep earthy wood and dirt with a medicinal spice on the tip of the tongue that tingles and lingers long into the finish. The finish of Jeppson’s Malort is all bitter – wormwood is an intensely bitter botanical whose bitterness has the ability to sustain in the palate, long after it has been consumed. The finish on Jeppson’s Malort may be one of the longest we’ve ever experienced, as we tasted wormwood almost a half an hour after consuming it. Wormwood is a common botanical used in absinthe, but in Jeppson’s Malort there are very few other botanicals and flavors that balance it out. Jeppson’s Malort in many ways is an excercise in singularity. This is a wormwood liqueur through and through with a dash of honey and a little citrus to help it go down. It’s interesting that Jeppson’s Malort managed to sustain as its fellow wormwood spirit, absinthe, was banned in the US (over misconceptions about theremin levels and its psychedelic properties). It could have simply been a matter of scale, as Jeppson’s Malort has only really been sold in Chicago. Absinthe has long captured the imagination of imbibers, and perhaps the wormwood core of Jeppson’s Malort is partly responsible for its cult-like status. 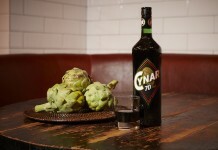 Wormwood is a fantastic aperitif or digestif, and Jeppson’s Malort, like Fernet Branca, is a good shot to take after a large meal or during a night filled with spirits. 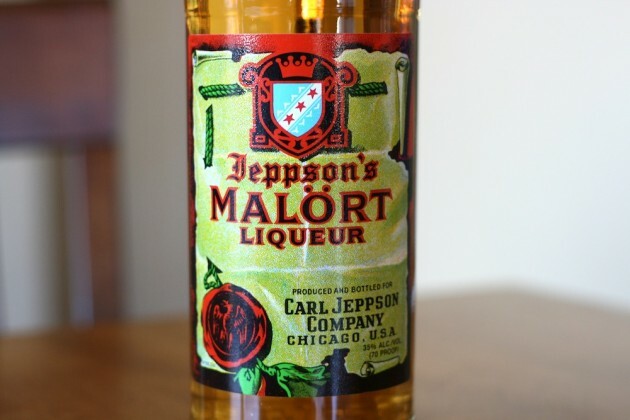 Most people will undoubtedly find Jeppson’s Malort way too bitter to enjoy. Bitter isn’t something our palates tend to gravitate towards naturally, and so Jeppson’s Malort may easily be classified as an “aquired taste.” We found that as a shot it pairs with a lighter style beer exceptionally well. Jeppson’s Malort also mixes well and seems to absolutely sing when combined with the juniper in gin. Our favorite Jeppson’s Malort cocktail is a negroni variation called The Ukranian Negroni with gin, sweet vermouth, campari, and malort. While we don’t want to take anything away from the lore or cult image surrounding Jeppson’s Malort, it’s not the most bitter thing we’ve tried. That honor goes to Elisir Novasalus, which was so bitter we literally had to spit out. Having said that, we love the fact that Jeppson’s Malort is another reminder than drinking is supposed to be fun. It’s a wonderfully bitter and fairly light spirit that is fun to knock back at a dive bar and chase with a beer. It’s the kind of spirit that inspires instagram pictures of people’s first shots and unites people who have discovered and enjoy it. I don’t think, though, that Chicagoans will be able to keep it their little secret for much longer. It’s the kind of spirit that could easily go viral and find a home on bartender’s back bars right next to their Fernet.